SMAG has released the new version of its seed management software agreo SEEDS. The most comprehensive collaborative platform on the agricultural software market, agreo SEEDS offers full management of the seed production chain. EuroSemences developed by Gfi Informatique and acquired by Smag in 2016, focused on production management and industrial traceability (plant, processing, laboratory, logistics, sales management, invoicing). The union of these two software components offers undeniable added technical value for meeting activity management business specifications. A Cloud-based multilingual offer, agreo SEEDS safeguards and consolidates all automatically processed and analyzed technical, agronomic and administrative information – for the entire profession and stakeholders of all sizes – in France and abroad (cooperatives, trades, breeders, multipliers, production organizations, research stations or official control services). This new version announces real savings in time and productivity, allowing, for example, a threefold reduction in the process of producer payments. 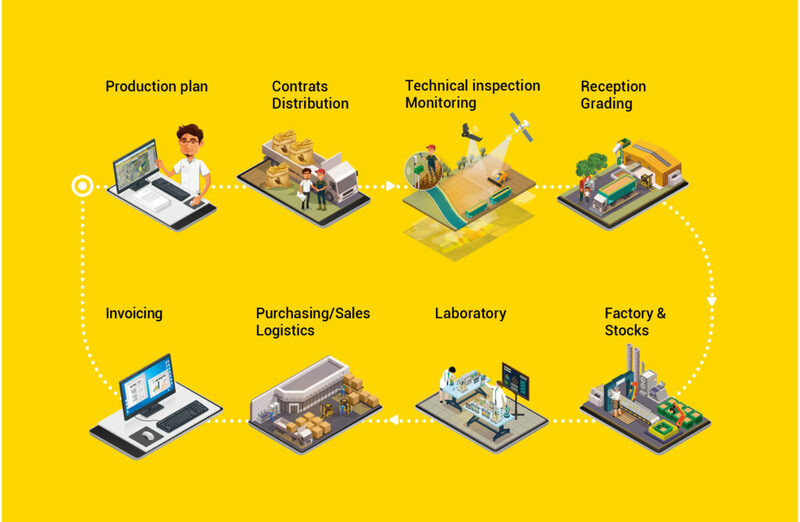 In the age of Mobile First, this solution adapts to different environments and work constraints (PC and mobile media) and also integrates mobile applications dedicated to both technical monitoring (agreo mobile inspection) and the barcode management of production orders at the factory. SMAG currently has about 40 key accounts from the industry among its users, some of whom are among the ten largest multinational seed companies in the world (Groupe Limagrain, Sakata). This year, the company recorded a 30% increase in its Seeds software business with the signing of new major accounts such as Deleplanque, DSV and Excelience, which is a new plant co-built by the Noriap, Cap Seine and Uneal French cooperatives to consolidate their Seeds business. SMAG’s seed market development strategy and dedicated software offer was presented to all European and global seed companies at ESA’s annual congress, held in Madrid from October 7th to 9th. An essential event that offers real opportunities for exchange and negotiations linked to issues and perspectives of the sector. Furthermore, SMAG has already announced its presence in Nice (3-5 June 2019) at the International Seed Federation (ISF) Congress, an annual event that brings together decision-makers from the global seed industry.